At Ohio State's Integrated Vascular Center, our patients benefit from the coordination of experts in all fields of vascular care, from diagnosis and management of vascular disease to complex surgeries and treatments not offered elsewhere in the area. Ohio State is a leader in the care of patients with vascular diseases, performing hundreds of vascular procedures each year. Because of the expertise of our surgical teams and our experience in highly specialized procedures and advanced techniques, Ohio State's Integrated Vascular Center is a regional referral center for patients who come to us from all parts of Ohio, Pennsylvania, West Virginia, Indiana, Kentucky and the Midwest. Ohio State is home to the state’s first Level One Heart and Vascular Emergency program, which mobilizes a team to provide emergency treatment for life-threatening heart and vascular conditions. Our Aortic Center offers multidisciplinary team care for patients with thoracic aortic aneurysms and thoracoabdominal aortic aneurysms. Our Limb Preservation Program features highly trained experts dedicated to healing wounds, saving limbs and preventing amputation. 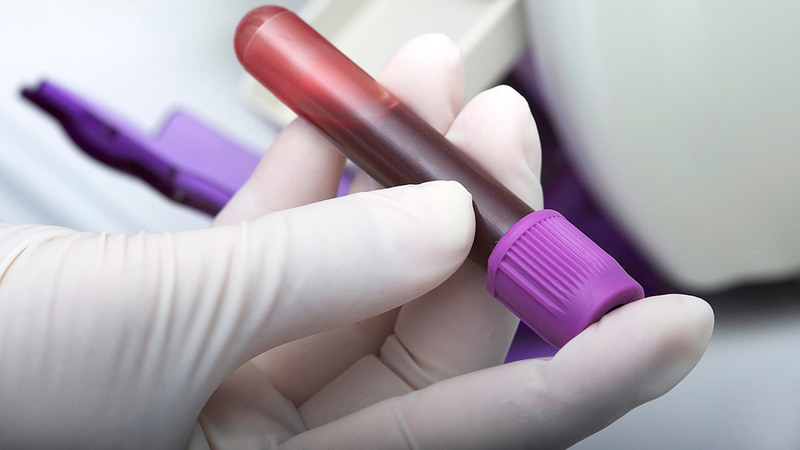 The Ohio State Peripheral Vascular Laboratory features full-service diagnostic testing accredited by the Intersocietal Commission for the Accreditation of Vascular Laboratories. Are you more than 70 years of age? Are you more than 50 years of age with a history of diabetes or smoking? Are you under the age of 50 with a history of diabetes and other risk factors such as obesity, high blood pressure or coronary artery disease? If you have any of these risk factors, talk with your physician to see if you are a candidate for a vascular screening test, or call Ohio State’s Heart and Vascular Center at 888-293-ROSS (7677) to request an evaluation. Ohio State's Aortic Center is dedicated exclusively to conditions of the thoracic and abdominal aorta, which is an artery that runs from the chest to the abdomen. As a patient, you'll benefit from the combined expertise of vascular surgeons, cardiac surgeons, cardiologists and anesthesiologists who specialize in the latest techniques and technologies for the treatment of thoracic aortic conditions, including open surgical repair and the newest techniques in minimally invasive standard and fenestrated or branched endografts. "Endovascular" means that treatment is performed through your blood vessels rather than requiring traditional open surgery. In an endovascular procedure, your doctor inserts a long, thin tube called a catheter through a small incision in your groin or arm. The catheter is guided through the blood vessels to the point of treatment. Ohio State's Integrated Vascular Center offers you rapid access to our expert endovascular services, whatever your level of vascular disease. Many people receive endovascular treatment because they have peripheral arterial disease (PAD). PAD is a common circulatory problem in which narrowed arteries reduce blood flow to the limbs. Our specialists offer a variety of progressive endovascular therapies for vascular problems, ranging from the simplest to the most complex. For those who are candidates, these procedures may be a lower risk alternative to traditional open surgery. Because Ohio State's vascular surgeons are exceptionally experienced, they provide a higher level of comprehensive care. The ability to collaborate and consider each case from different angles allows for a highly targeted approach to the treatment of vascular diseases. Endovascular procedures are minimally invasive and may result in less discomfort, faster healing and shorter recovery times for the patient. The Integrated Vascular Center performs hundreds of vascular surgeries each year, and our experienced specialists are leading experts in their fields. We offer complete care for your vascular condition, from your initial visit, to diagnostic testing, interventional or minimally invasive endovascular treatments such as stenting and angioplasty, open surgical treatments such as bypass surgery, and – most importantly – ongoing lifelong post-treatment care. Vascular diseases – including diabetes and peripheral artery disease (PAD) – account for more than half the amputations in the United States. With early intervention and expert care, many of these limbs can be saved. The Limb Preservation Program at Ohio State’s Comprehensive Wound Center offers highly skilled specialists from multiple fields, along with the latest treatments and technology for limb-threatening conditions. If you are at risk for limb loss, Ohio State’s Limb Preservation Program can help. Ohio State’s experienced vascular surgeons provide in-depth diagnosis and individualized treatment plans for those who have venous disease, spider veins, varicose veins and vascular birthmarks. Whatever your vein condition, we offer the expertise and technology to improve your vascular health. All of our procedures are performed by board-certified vascular surgeons. Our expertise means that we treat not only the cosmetic surface issues, but also the underlying vein conditions that might be leading to your condition. Ohio State is home to the first facility in the region dedicated to vein care. Located in a comfortable and convenient office setting at our Outpatient Care Upper Arlington office, Total Vein Care offers you a wide range of innovative treatment options for varicose veins and other vascular issues, including injection sclerotherapy, radiofrequency vein closure and minimally invasive vein surgery. Contact your primary care physician to schedule a consultation with one of Ohio State’s vascular surgeons at Total Vein Care: 614-366-8346. Dr. Michael Go discusses the common signs and symptoms of vascular disease. Peripheral artery disease is a common disorder of the circulatory system and affects approximately 10 million people in the United States. Patrick Vaccaro, MD, explains how Ohio State physicians have the training and background to treat a range of problems, including critical ischemia, aneurysms and thoracic outlet syndrome. Vascular surgeons treat a variety of conditions: carotid artery disease, aortic disease, such as aneurysms or athleroscopic disease, venous disorders, including varicose veins, and peripheral arterial occlusive disease and blockages, particularly those in the lower extremities. Comprehensive evaluation by a dedicated team of cardiologists, vascular surgeons and cardiac surgeons trained in both open and endovascular (surgery inside the blood vessel) repair. Ongoing consultation and monitoring of patients, including those with connective tissue disorders such as Marfan syndrome. A research and education program to help those living with vascular disease live healthier lives. At Ohio State’s Aortic Center, our advanced CT and MRI imaging effectively detects aortic aneurysms, allowing for earlier treatment and improved success rates. In addition, the Aortic Center features an advanced endovascular room, and an operating room facility that allows us to perform both open procedures and stent grafts in one location. Specialists at Ohio State’s Aortic Center are always available for consultation. We provide you with timely transport, evaluation, treatment and comprehensive follow-up. 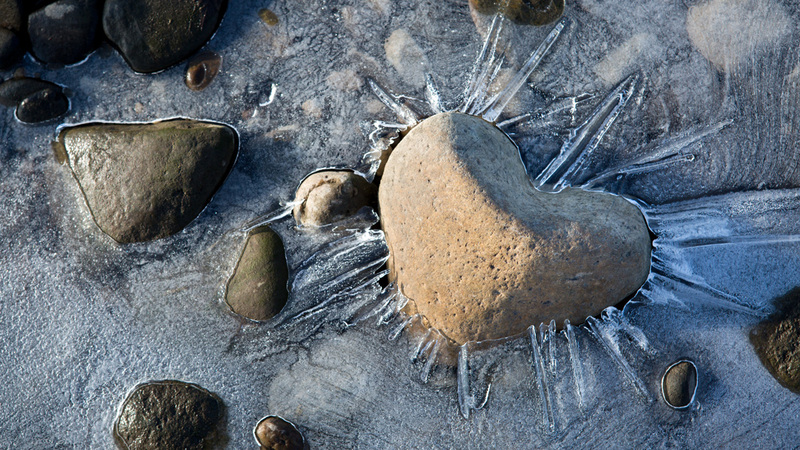 In partnership with Nationwide Children’s Hospital, Ohio State’s Aortic Center provides collaborative treatment of patients with Marfan syndrome. The Aortic Center also offers genetic testing and follow-up for you and your family members. For more information about Ohio State’s Aortic Center and its services, call 855-204-1200. The Circulation and Vascular Clinic at University Hospital East takes a new approach to the care and treatment of patients with vascular disease and circulation issues in the lower extremities, specifically claudication and peripheral artery disease. This clinic provides each of our patients with a complete vascular assessment, treatment plan and all testing in one visit. You will be evaluated in the same appointment by a cardiologist and vascular surgeon working together to provide a comprehensive plan of care. You will also be connected with services as needed to manage their condition, including pharmacy, nutrition, smoking cessation, wound care and more. 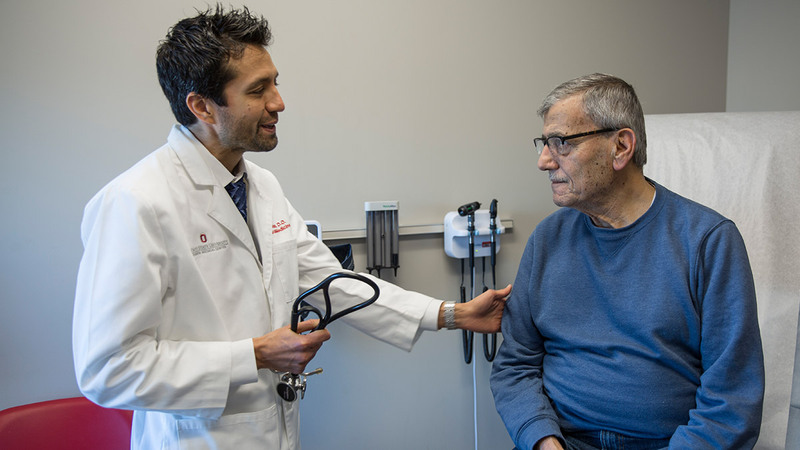 The Ohio State University Pharmacy Anticoagulation Management Services (AMS) clinics provide personalized care for patients taking blood-thinning or anticoagulation medications in order to help prevent blood clotting and strokes. Each patient's therapy is managed by an experienced team of clinical pharmacists, along with supervising physicians. All of our pharmacists have specialized training in the management of anticoagulation therapy. Patients who participate in this clinic have been shown to benefit from decreased bleeding and clotting issues. For more information, contact 614-293-0932 for the Pharmacy Anticoagulation Management Services at the Ross Heart Hospital or 614-257-2807 for the clinic at University Hospital East. Endovascular Services at the Integrated Vascular Center include the latest technology in minimally invasive procedures. Such procedures provide effective treatment of your vascular condition in combination with a quicker recovery time. Carotid angioplasty and stenting for symptomatic and asymptomatic lesions and for high-risk patients. Endovascular stent graft repair for abdominal aortic aneurysms, thoracic and peripheral artery aneurysms, as well as endovascular management of dialysis access and of tibial, mesenteric and renal artery occlusive disease. Ultrasound-accelerated thrombolysis and pharmaco-mechanical thrombolysis, which speed up treatment times and lessen complications when clotted arteries occur compared with traditional catheter-directed methods. Angioplasty to open blockages, stent placement to keep the blocked areas open, atherectomy to remove plaque and cryoplasty to freeze the plaque. Ohio State’s Peripheral Vascular Laboratory is a full-service diagnostic testing facility accredited by the Intersocietal Commission for the Accreditation of Vascular Laboratories. Our registered vascular technologists use state-of-the-art ultrasound technology to perform noninvasive vascular studies in a comfortable, relaxed setting. We provide the most progressive diagnostic testing available in the region. In addition, the Peripheral Vascular Laboratory provides research services to the cardiovascular investigators on the University campus. Ohio State’s vascular surgeons and physicians provide outpatient services at satellite offices in the Columbus and central Ohio area. This service offers diagnosis and treatment of vascular disease, bringing the expertise of Ohio State right to your doorstep. Dr. Sarac has performed more than 11,000 operations over the past 20 years. He has written more than 120 publications and holds more than 25 national and international patents. He is regarded nationally as part of an elite group of innovators creating minimally invasive options for patients with complex vascular disease. 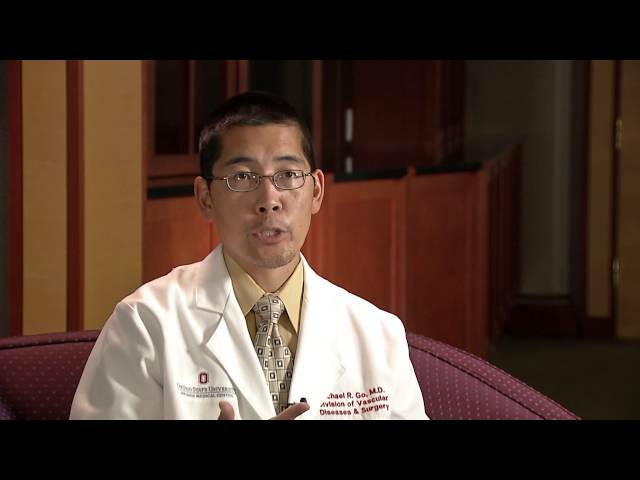 Dr. Go is an assistant professor of surgery at Ohio State’s Wexner Medical Center and has been an instrumental leader in the development of Ohio State’s Limb Preservation Program. Dr. Go is widely published in peer-reviewed journals and is an active research investigator on a variety of clinical studies, including serving as the principal investigator in a research trial investigating stem cell therapy for critical limb ischemia.